Who says you can only experience adventure if you actually go to the top of a mountain or do other daring activities? 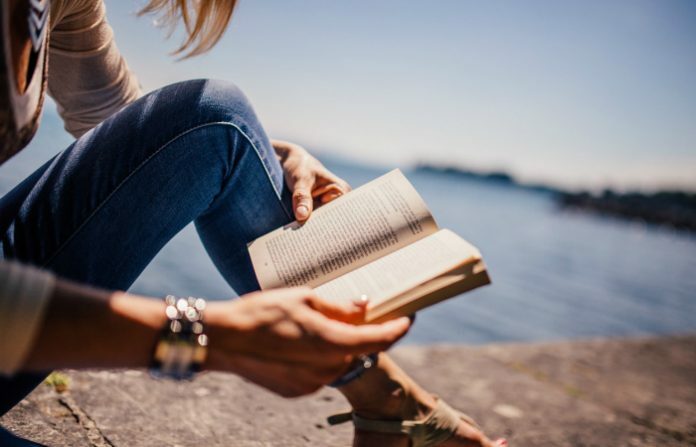 What most people do not know is that right in the comforts of their own home, they can already have their escape to one memorable adventure just by reading a good book. That is why we are here to give you the best adventure book that can blow your mind. Before our exciting list of books, you ought to know first what exactly “adventure” as a genre. Adventure is a type of genre focusing on a particular journey that highlights the risks for the people involved. Now that you get a clearer view of what adventure is for books, we are finally revealing the best adventure book that can enhance your power of imagination. Into Thin Air: A Personal Account of the Mt. 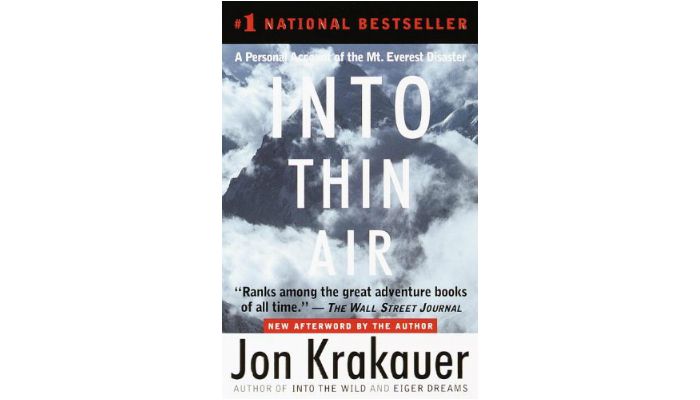 Everest Disaster by Jon Krakauer reveals the tragic experience of the author himself when a storm attacked the summit of the highest mountain on earth in May 1996. The “murderous” storm claimed several lives, haunting Krakauer as a survivor. Included in the book are insights on the expedition’s flaws that led to the disaster. The book also includes a controversial issue regarding the debate between Krakauer and the late Anatoli Boukreev, the Russian guide of the 1996 Everest expedition. In a lighter note, the American Academy of Arts and Letters honored Krakauer with an Academy Award in Literature in 1999. The Academy praised Krakauer for his brave writing and firm investigative journalism skills. Krakauer’s Mount Everest experience revealed the harsh reality of mountaineering, which was more of a “romantic” sport in the past. Krakauer’s adventure book received critical acclaim from numerous prominent publications such as the Wall Street Journal, the Washington Post, and the New York Times Book Review. Kon-Tiki: Across the Pacific in a Raft by Thor Heyerdahl is such a massive hit that it became the inspiration for a major motion picture. It tells the story of the author himself when he went on an interesting journey across the Pacific Ocean for three months. What makes the story groundbreaking is that Heyerdahl actually crossed the Pacific – by raft. 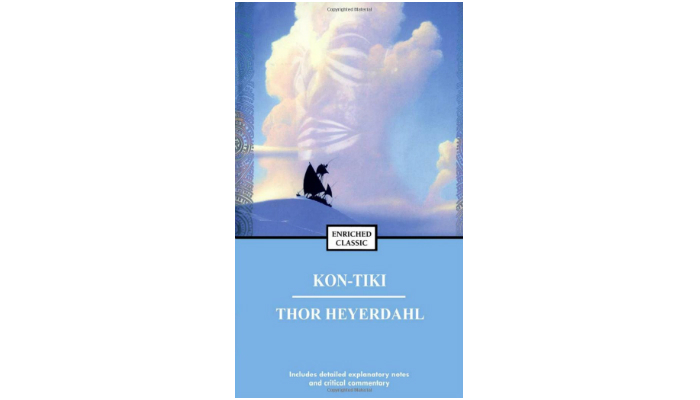 This adventure book explains that Heyerdahl decided to have the unusual voyage just to prove his theory about the legendary hero Kon-Tiki leading an ancient race to the South Sea Islands. There are no regrets at all in Heyerdahl’s part despite facing sharks, whales, and horrific storms. The main reason is the journey’s happy ending when Heyerdahl and his companions finally spotted the Polynesian island named Puka Puka. Aside from the major motion picture, Heyerdahl’s book was also translated into 65 languages. The whole world managed to discover Heyerdahl’s epic true story of bravery and determination. 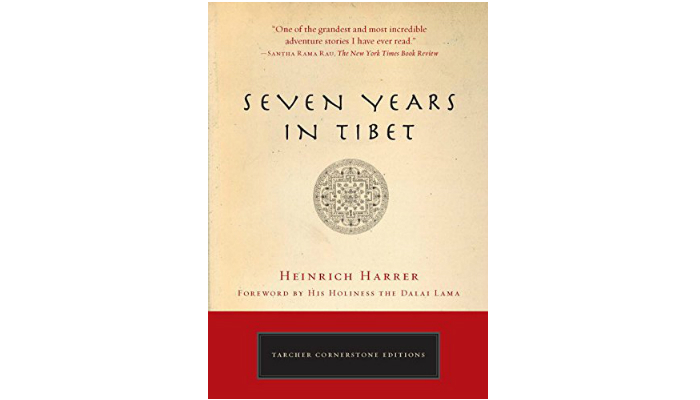 Seven Years in Tibet by Heinrich Harrer simply highlights the historic adventure of the Austrian mountaineer-author when he got to experience the real Tibetan life. A classic 1953 adventure book that sold millions of copies all over the world, it tells the story of Harrer as one of the first Europeans to ever set foot on Tibet. Harrer even managed to be the tutor of the Dalai Lama. This adventure book includes the escape of Harrer from a British camp in India back in 1943. It also has the account of Harrer’s challenging journey across the Himalayas. Furthermore, it contains a comprehensive list of Tibetan customs, rites, and traditions before the 1950 invasion of the Chinese. 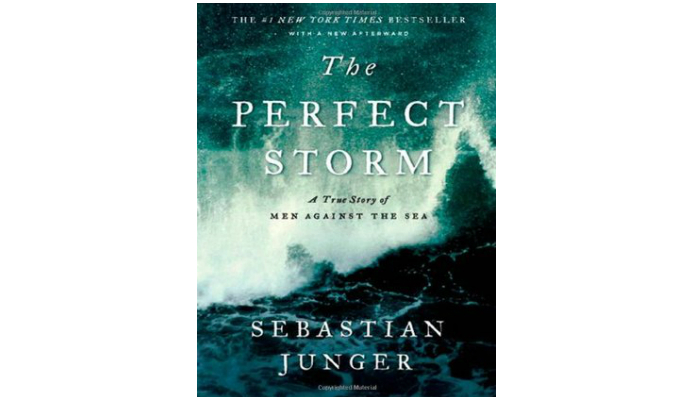 A True Story of Men Against the Sea by Sebastian Junger is such an influential book that it became the inspiration for the blockbuster movie starring George Clooney, Diane Lane, and Mark Wahlberg. It focuses on the October 1991 disaster when three weather systems made a collision off the Nova Scotian coast and created a deadly storm. Junger’s adventure-thriller book vividly describes how the storm created waves measuring more than a hundred feet high. The storm also affected the swordfishing boat called the Andrea Gail, leading to the loss of six lives. It was considered to be the “storm of the century” as well as the “perfect storm.” There were no warnings whatsoever, contributing to the massive level of disaster. The author managed to capture the real-life story by reading published materials, listening to radio dialogues, getting eyewitness accounts, and talking with survivors. Brace yourself for unforgettable rescue scenes in the book. 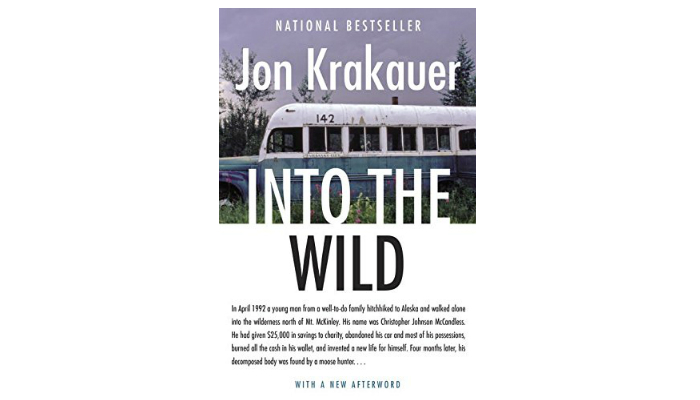 Into the Wild by Jon Krakauer is another masterpiece from the author of “Into Thin Air.” This time, it tells the true story of a young man named Christopher Johnson McCandless. He was also known as Alexander Supertramp. He made the headlines in 1992 because of his mysterious death in the wilderness. His death was a mind-boggling one. He was a rich and smart kid who chose to go back to basics in the most extreme way. Krakauer investigated the factors that pushed McCandless to abandon his car and give up his entire savings just to have a taste of what is real in the wild. He included in this book the reality of the American wilderness and the psychology of daredevils. He successfully doused the pages with an intense understanding of the tragedy. This adventure book is another reason why Krakauer managed to receive the Academy Award in Literature. The Academy, in relation to this book, explained that Krakauer went deeper on the reality of how nature can be devastating to a fragile mind. 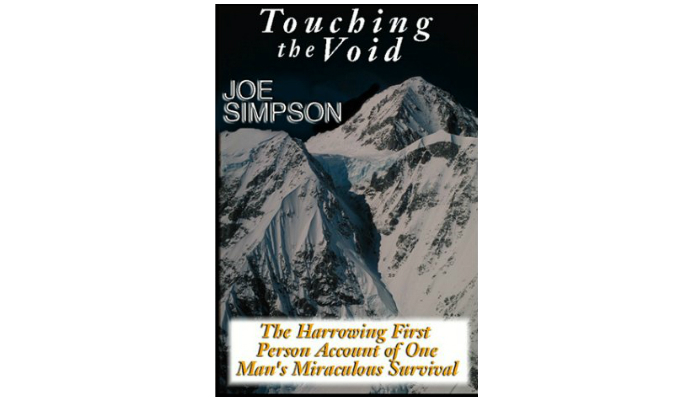 Touching The Void: The Harrowing First Person Account Of One Man’s Miraculous Survival by Joe Simpson also tells a real story of tragedy. The author was with his companion Simon Yates when they were attempting to go down the Andes peak. Neither of them had no clue what would happen next. This adventure book based on genuine accounts highlights the heavy predicament of Simpson and Yates when the author himself fell and broke his leg. It emphasizes how the human spirit does not easily give up even on the brink of death. Simpson’s haunting adventure story was praised by publications such as Los Angeles Times and the Times (London). Our list is based on Goodreads’ “Extreme Classics: The 100 Greatest Adventure Books of All Time” that was originally featured on the National Geographic site. We preferred non-fiction adventure books to have a more realistic view of the wilderness, nature, extreme journeys, and human survival. We chose Goodreads as our reference for the best adventure book since it is known as the world’s biggest site for book recommendations and all types of readers. The site also has exciting lists for other genres. This book tells how flying planes can be majestic but dangerous. Regardless, it focuses on the excitement given by adventures far above the ground. A 1931 classic, this book highlights the tragedy and rescue of the ship named Endurance during the 1914 to 1916 Antarctic expedition. This real-life adventure book focuses on the 1972 plane crash involving a rugby team onboard. Miraculously, several people managed to survive despite the extremely cold, remote peak of the Andes Mountain. Compared to most books here in our list that thrive on intensity and adrenaline rush, this book has a more mellow tone despite the author’s personal conflicts in Africa. We selected Into Thin Air: A Personal Account of the Mt. Everest Disaster by Jon Krakauer as the best adventure book. Why? It has a lot of real-life accounts that affected a part of the world’s perspective. It makes us realize even more that mountaineering is no walk in the park. The reward of seeing a mighty landscape may be glorious, but the risks that come with it are deadly. If you are thirsty for more tales of genuine adventures, feel free to browse Goodreads’ list. We guarantee a variety of stories despite having the same genre. For a comfier time reading your favorite books, check out our take on the best reading chairs in today’s market. If you prefer eBooks, feel free to browse our list of the most ideal eBook readers. You may also check out our take on the best Dr. Seuss book and best baby book for your precious ones, best coffee table book and best book on meditation. Lastly, if you love books and photography, consider yourself lucky since we have a compilation of popular photography books.